Another stop on my gluten free Italian tour of Manhattan was Sambuca. 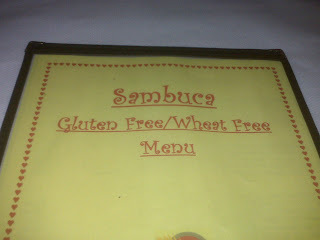 I've been to Sambuca before, as it was one of the first restaurants I knew about that offered gluten free food in New York City. Even better, my friend Jon lives super close to the restaurant so it was a quick jaunt over for us. 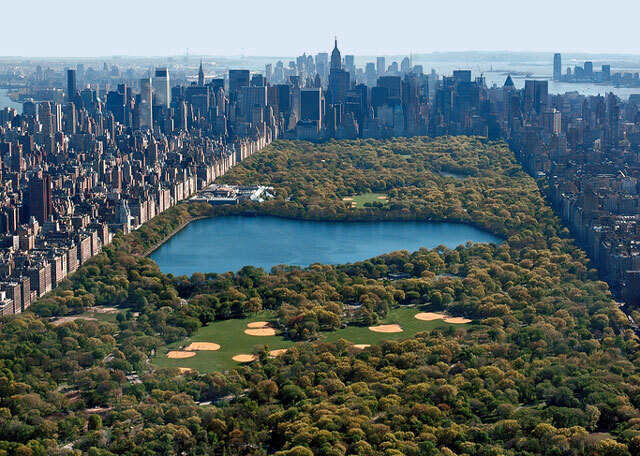 It is also in a beautiful area, right next to Central Park and across from The Dakota. At Sambuca we met up with a bunch of college friends along with some new faces. It was great to see everybody (thanks for making the trek guys!) and I think we all enjoyed our food. I asked for the gluten free menu and my waitress promptly brought it to me. Decisions, decisions... that is always the toughest part of eating out for me! Whenever served a gluten free menu I try to choose options that I wouldn't normally be able to eat, such as pasta. I knew that I had to get the pasta here; in my previous trips, I had been overwhelmed with the portion sizes. The family serves all of its food "family style." Our waitress recommended that we order with every intention to share, as the plates were absolutely, incredibly, ridiculously enormous. She wasn't kidding! 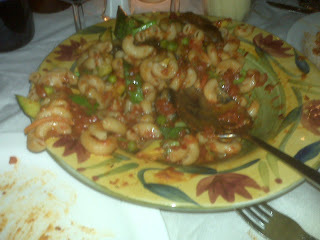 When our pasta dishes were brought out, our jaws hit the floor as we gaped at how big the plate sizes were. Even better, our main dishes were all awesome. I'm very embarrassed to admit that I do not remember which dish I ordered. As I'm sure you can tell by now, eating was one of the main things on my "To Do" list, and for some reason I forgot to write down which dish I ordered. However, I've been here enough times to confidently say that every time I've visited it has been spectacular. Scratch what I said above about "I think" that everybody enjoyed our food. I know that everybody enjoyed their food because of the way my gluten eating companions devoured the gluten free flourless chocolate brownie the table ordered! Reactions to my gluten free food have run the gamut from "I prefer normal people food" to "Well, this is OK." The reaction at Sambuca was entirely different -- one of my friends even said he preferred it to the gluten filled brownie! 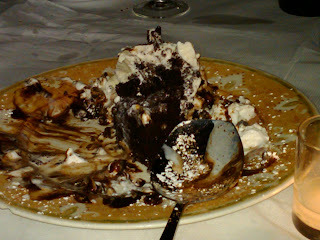 The picture above was taken after we had already half demolished the brownie. I was too mesmerized by its beauty to think about taking my phone out and snapping a quick picture... this brownie was awesome! Sambuca is the place to go for gluten free Italian food on the Upper West Side. It is definitely the best choice if you are planning on eating with a large group, as the portions are huge, reasonably priced, and delicious. we ordered pasta primavera !! The Sensitive Baker - For Sale?